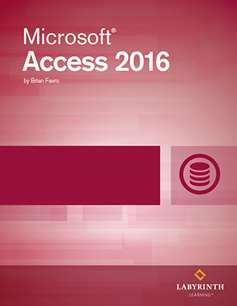 Microsoft Access 2016 Level 2: This intermediate level textbook will expand students' proficiency of MS Access with an in-depth look at table design, input forms, complex queries and report customization. DELIVERY OPTION: This option is for the Digital Download of the ebook only. Does not include Printed Textbook.